Ask one to name three Norwegian landmarks that first spring to mind, and the answer will likely include Flåm railway, Geiranger fjord and Preikestolen. Never heard of the last one? 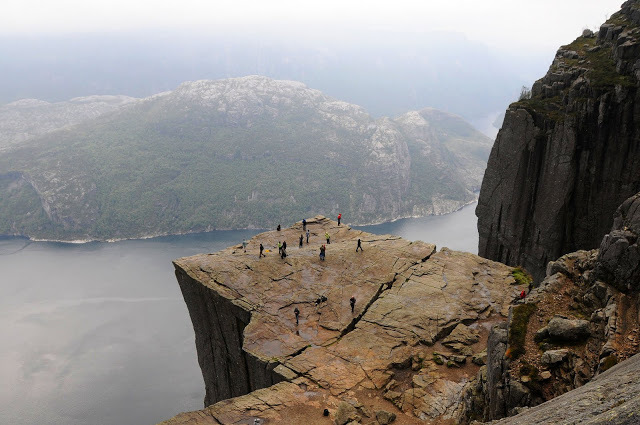 Worry not; without even realising, you have likely seen the signature images of Preikestolen – a massive rock plunging vertically into the hazily blue Lysefjord from the height of over 600m. And it is for Preikestolen that I find myself in the city of Stavanger in Western Norway one chilly September morning. It is 7am on a Saturday – an hour most ungodly – and not more than a handful of foreign looking folk wait with me, red-eyed, on Stavanger’s central quay. 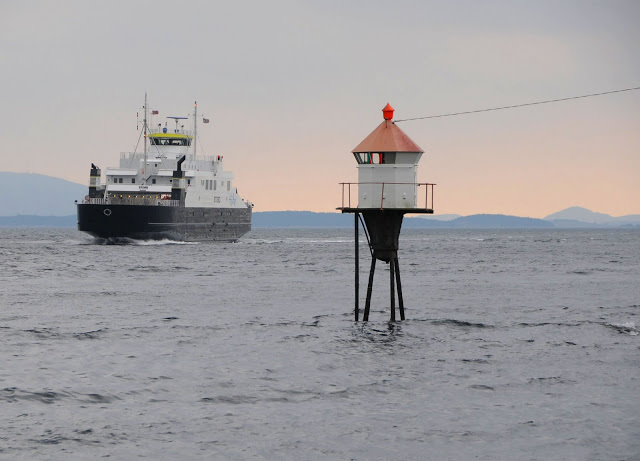 The first leg of our journey will take us to Tau, a port conveniently linking Stavanger with the rest of mainland Norway. 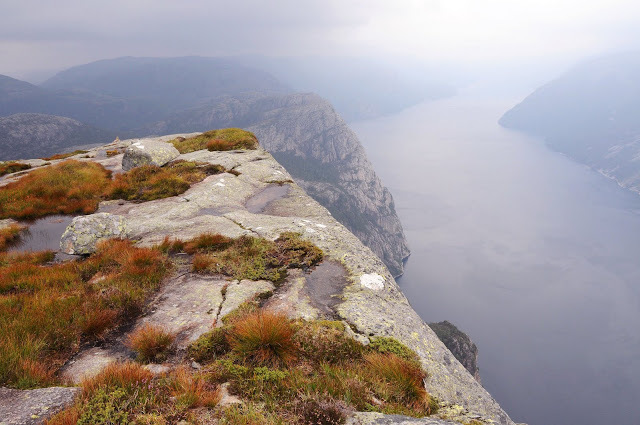 From there, buses depart regularly for the Preikestolen path. As our boat speeds on, Stavanger turns into a watercolour line on the horizon. 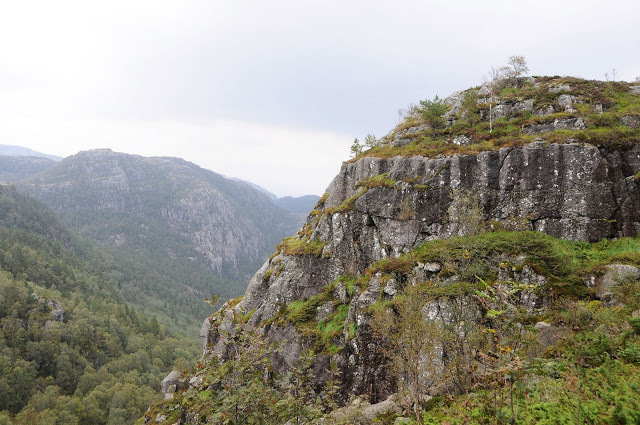 It is raining – making my imminent ascent to Preikestolen a potentially risky affair – but I am hoping for the better. I reach Tau in just under an hour and continue overland. By the time I reach Preikestolhytta – an overnight stop and restaurant in one – the rain has magically turned into a drizzle that is indeed quite a minor disturbance in comparison. 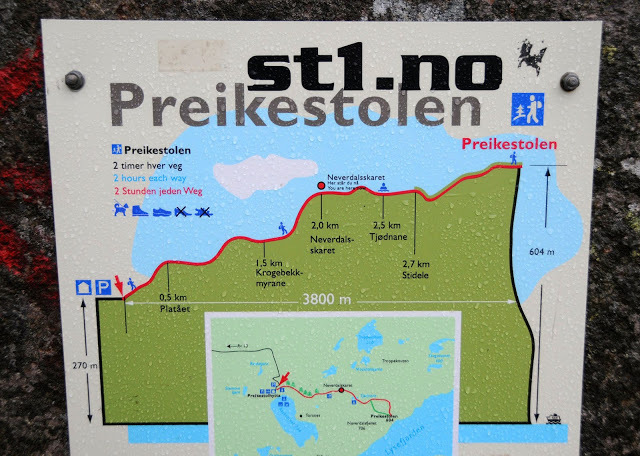 Without wasting any time, I embark on the world famous trail towards Preikestolen. One of the reasons I am doing this hike in rainy September is to avoid throngs that hit the trail in the high season – decidedly, the summer months. It can get quite crowded indeed: Stavanger Turistforening, a regional tourist body, estimates that 125,000 people completed the trail in 2010. The number was expected to be even larger in 2011. 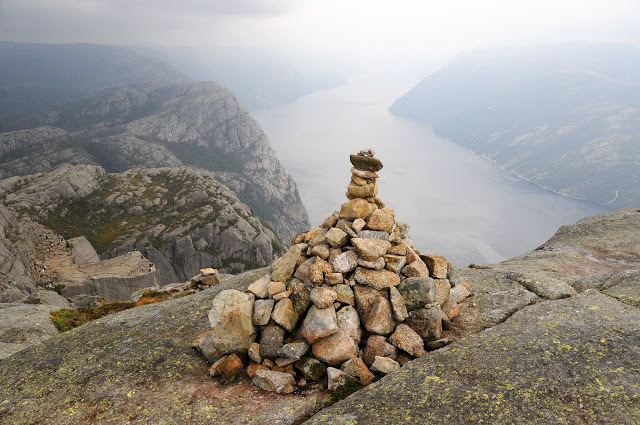 The ascent wouldn’t exactly impress tested climbers: the elevation differential between the trailhead and Preikestolen barely reaches 334m. 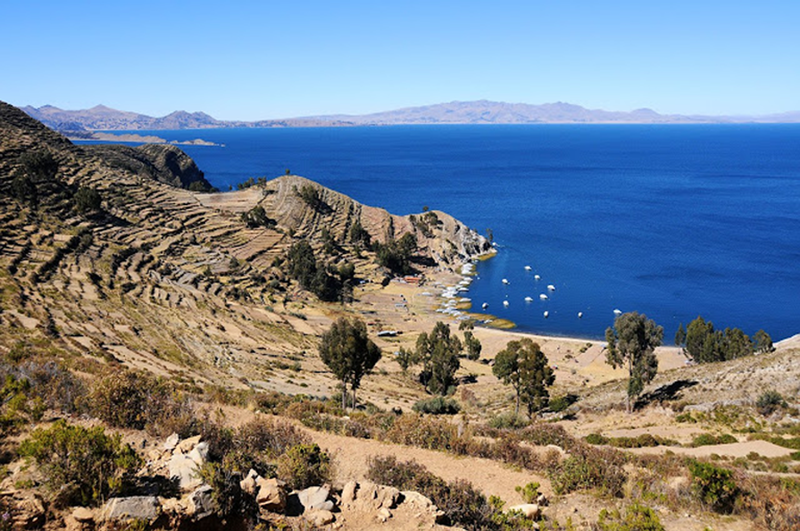 However, the walking distance to the rock is more than tenfold (3.8km one way) and can take as long as two hours, photo stops and fitness level permitting. Mere four hours of sleep the night before is not enough to dampen my energy. For a split second, I dream of being the first to reach Preikestolen that cloudy morning. And it is with slight disappointment that I greet a group of hikers walking towards me – obviously having conquered the rock already and casually strolling back, in a manner giving away a habit more than a once-in-a-lifetime experience. 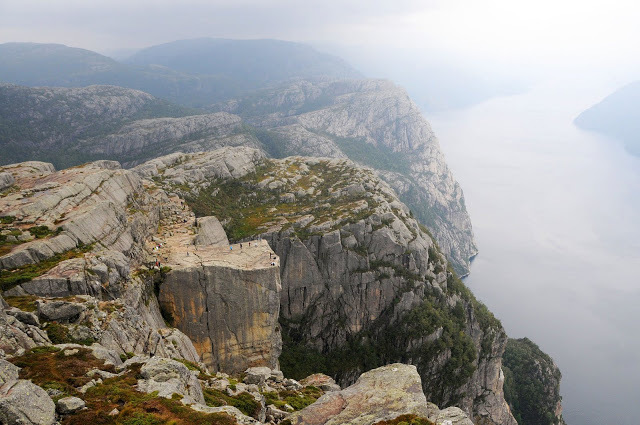 Hoping at least to make it to Preikestolen before too many fellow amateurs, I hasten my pace. The path runs up and down over a varied terrain. The trickiest of patches have visibly been made tourist friendly: here and there, flat rocks pave the way and bridges have been erected to enable safer stream crossings. Several signs – both man-made and traditional stone structures – point the hikers to the track. Broken rocks, sloping bushy areas and stretching marshes succeed each other before giving way to the final leg of the trail, massive granite slabs. Another bend of the path, and the magnificent Lysefjord emerges out of the hanging pre-noon haze. With its perfectly reflective granite surfaces, the Light Fjord fully justifies its name. Even on an overcast day like this, its ambient glow is so intense that it seems surreal. I almost prefer its washed look of mystery to a bright sunny day. As I near the end of the trail, the terrain becomes rockier. 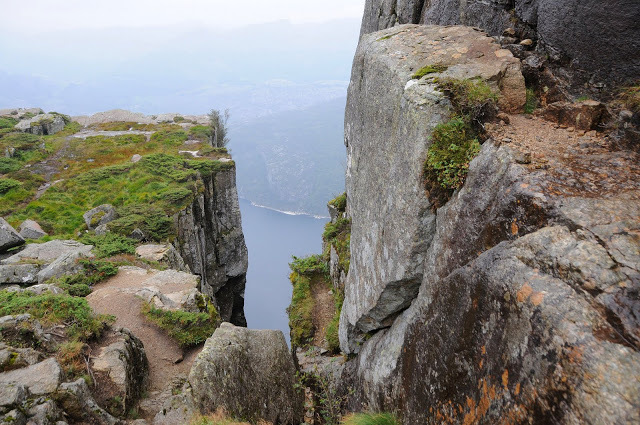 A zipping crevice appears on my left, and a nonchalant glance through is not a good idea – Lysefjord’s menacing glare beneath my feet is none the weaker at a 600-meter height. 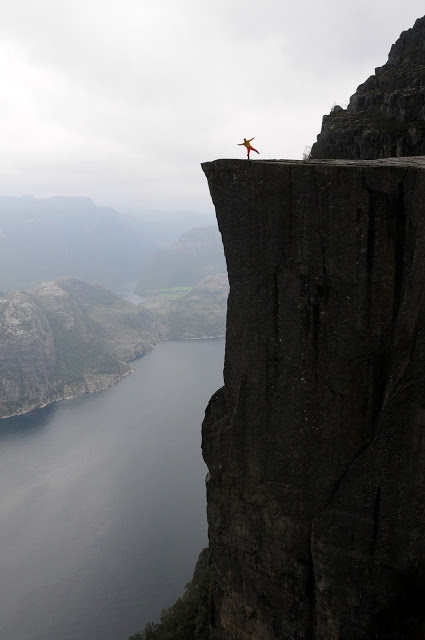 My stomach nearly dips through the crack; one spastic gulp, and I brave the last few meters towards Preikestolen. 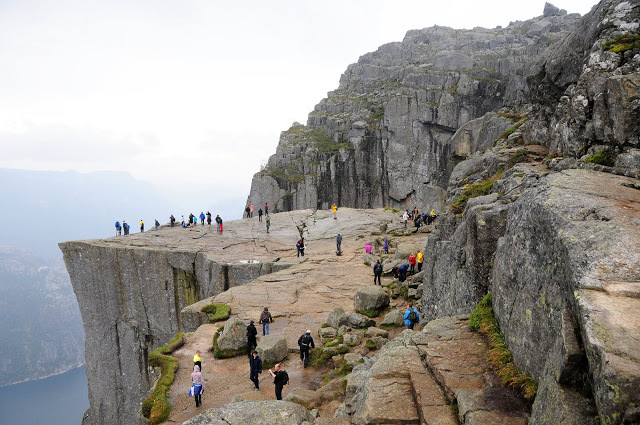 Norway’s most famous rock finally rises ahead. 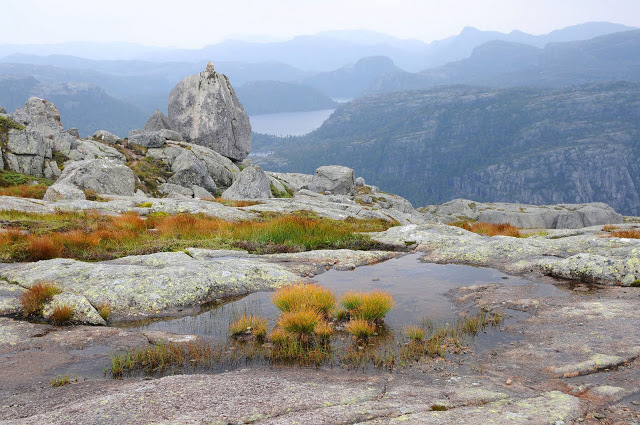 I note to myself how well its Norwegian name summarises its essence: for it is exactly like a pulpit that the Pulpit Rock towers over the surrounding waters – a silent monument to the powers of nature. The next moment my heart freezes uncomfortably again as I realise that I am not alone – and that my only counterpart is busy practising his sense of balance right on the rim of the cliff. He opens his arms wide, lifts one foot off the ground in a manner most death-defying and signals “Go!” to a distant friend with a camera. All that within mere millimetres off the edge – the edge to which I only dare to crawl on my stomach, stopping cowardly to catch my breath. 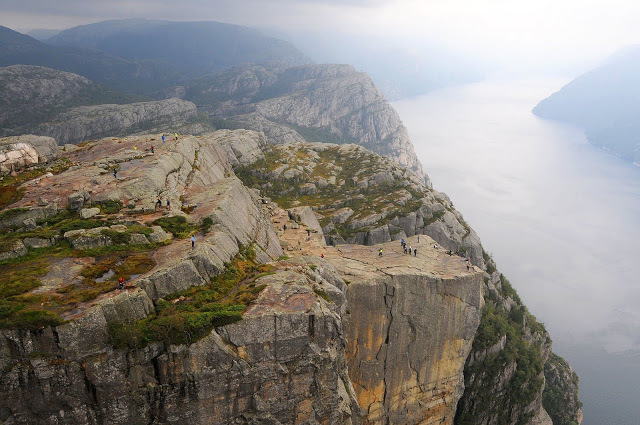 Preikestolen’s vertigo-inducing heights are most certainly not for the faint-hearted. 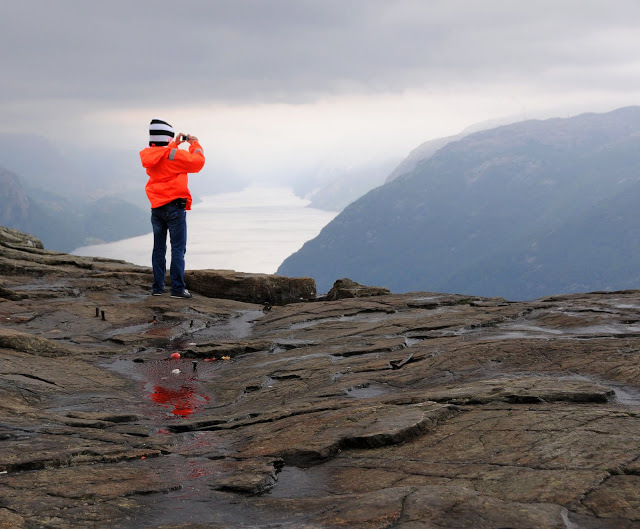 Safe distance from the edge, I spend around an hour gazing down the magnificent Lysefjord. The wind stands ready to swirl every unsecured possession into the abyss below. 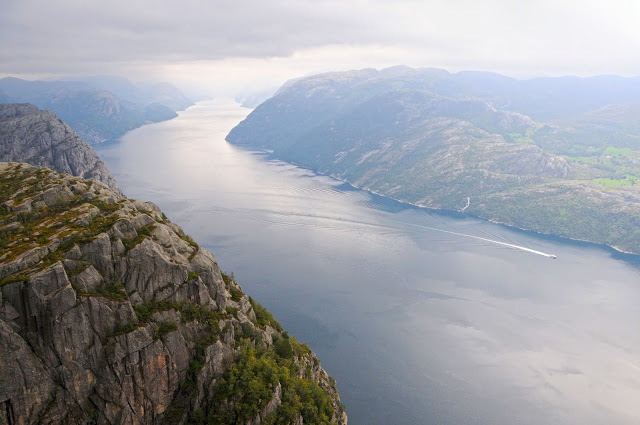 Lysefjord may be rather shallow where it meets the sea – as fjords tend to be – but its waters around Preikestolen reach the depths of 400m, making the way down a very long one indeed. Meanwhile, visitors continue to arrive – wasn’t it supposed to be low season? – and I escape further uphill. An elusive mountain path heads onto a plain full of mini lakes, scattered boulders and wild mountain flowers. More astonishingly beautiful fjord views unfold all around, and, at one point, I am almost convinced I can see all the way to Stavanger. Stavanger! The passing thought reminds me how far I have come from my starting point. 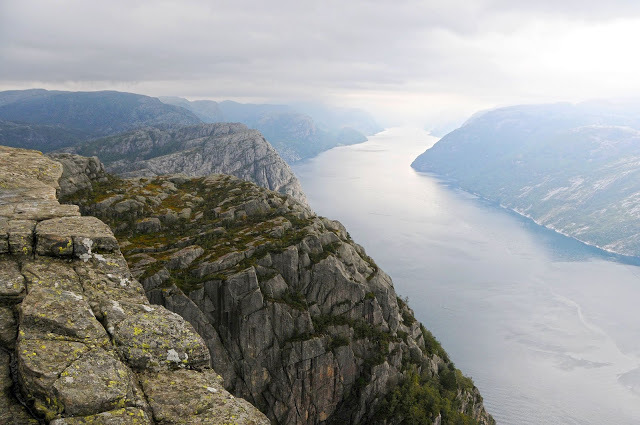 I return to Preikestolen – now even busier with visitors – cast one last glance at its mesmerising forms and begin my descent to the trailhead. Three hours later, I sit down at the Tau quay to wait for my return boat. 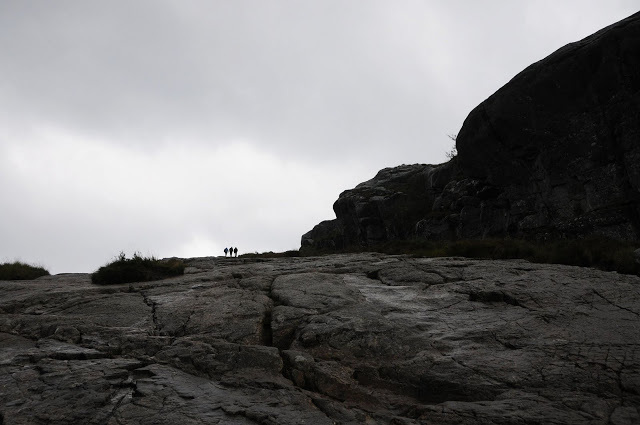 It is raining – this time without much hope of stopping soon – and I suddenly feel grateful for not having had to battle the weather on my onward journey to Preikestolen. I close my eyes and think how I will repeat the hike one day. And who knows? I might even venture a risky pose on the edge next time. 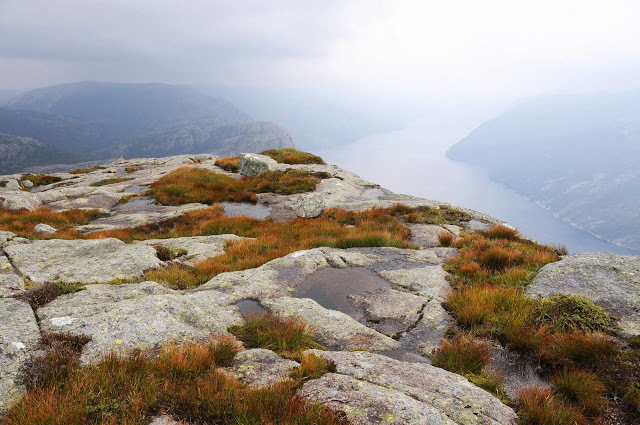 View my photos from Preikestolen on Flickr. My next visit to Norway will be in January 2012, marking the end of “mørketid”, the International Film Festival – and, hopefully, more images of the Northern Lights! 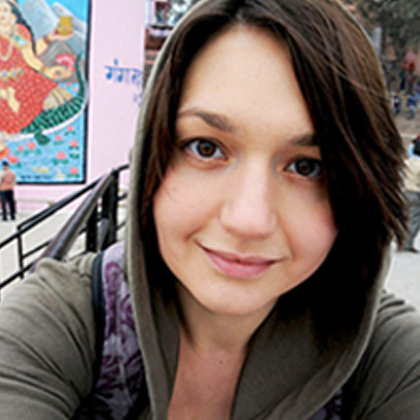 – where else but in the northern city of Tromsø. Stay tuned! Anjci,you have captured some dreams actually. Splendid they are. Thank you and wish you all the best. Hi Eduardo! Thanks so much for your kind words. Norway is breathlessly beautiful and I encourage everyone to visit! The time you mention isn't best for Preikestolen as (a) the path is most likely snowed in and/or frozen/slippery, making it dangerous; and (b) the visibility from the top may be poor, eliminating the whole point of the hike. I would advise you to attempt the hike in May or September. There are far too many crowds to fight off your way in the summer. Hope Tromsø was great. Did you see the Northern Lights? I was there around the same time as you and saw them: see here. Take care!